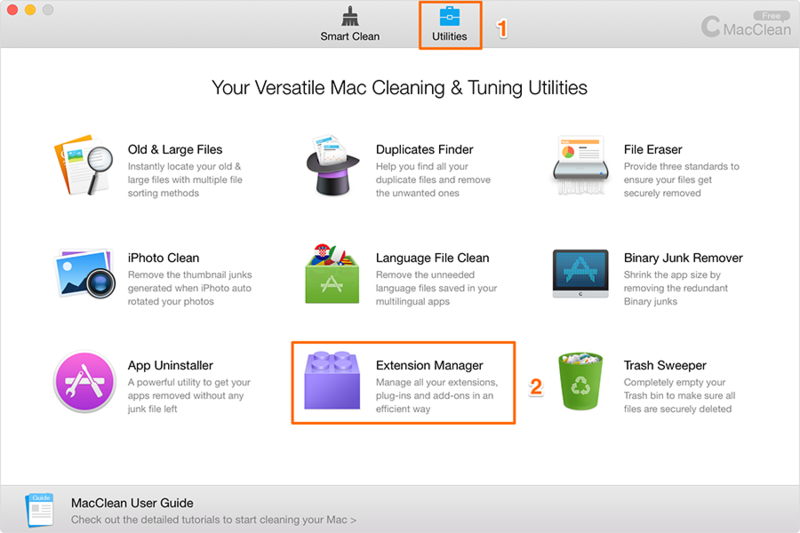 MacClean gives you an overview of your extensions, plugins, and widgets. Some of them just take up space and potentially cause issues on your Mac. By using MacClean, you can keep, disable, or remove them as you need. Step 1: Open MacClean to get started.